Beck has shared a new song inspired by the movie ROMA. It’s a cover of “Tarantula” by Colourbox and features vocals from Feist. Beck performed “Wow” and “Colors” on Colbert last night. Beck has released a video for “Colors.” The video was directed by Edgar Wright and features Alison Brie. Beck has announced some new tour dates. Beck performed “Up All Night” on Fallon last night. Beck performed “Up All Night” on Ellen. Beck’s new song “No Distraction” premiered on Gary Calamar’s KCRW radio show today. You can stream it below at around the 20:30 mark. 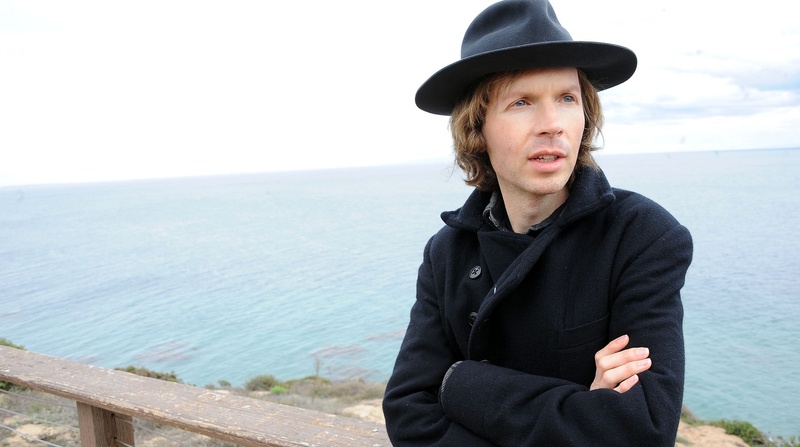 Two unreleased Beck songs have appeared online. One is titled “Curfew” and the other is an untitled instrumental. Beck has released his new single “Wow.” You can stream it on Spotify or Apple Music.